Find a New Home for your Pet - Save-A-Life, Inc.Save-A-Life, Inc.
Overview of the Pet Placement Program: If you need to find a home for your pet or an animal you have found Save-A-Life can help. Space is very limited in our foster care program and we frequently are unable to accept another pet in foster care. We have designed a program called the Pet Placement Program to help people find homes for pets. With this program, you and your pet will meet potential adopters, your pet’s picture and description will be published on the PetFinder and Save-A-Life websites, and you will be given experienced assistance in finding the right home to meet your pet’s needs. There is no charge for participation in this program. You have the final decision on who adopts your pet except that we do not approve adoptions to persons who have unaltered pets 6 months or older at home or in rare cases where we feel the pet would not adapt to the new home. You or your approved designee must bring the animal to our Mobile Adoption Saturdays at the PetSmart store on Abercorn Street. You may stay as long as you like during the hours we are there. If you do not adopt your pet, you take him home and try another Saturday. You may come back as many Saturdays as necessary to find a home that will meet the specific needs of your pet. If your pet is not spayed or neutered, even puppies and kittens, please see the section below entitled IS YOUR PET SPAYED OR NEUTERED (INCLUDING PUPPIES AND KITTENS)? NO GIVE AWAYS! If someone wants to adopt the pet you have, the prospective new owners needs to meet certain requirements and pay an adoption fee. This is to ensure that the adopter is prepared to make a commitment to your pet. LIMITS ON BREEDS: Unfortunately, due to liability issues, we cannot accept the following pure-breeds or mixes where these breeds predominate: Pit Bulls, American Bull Dog, Chow-Chow, American Staffordshire Terriers, Rottweilers, Doberman Pinschers, and Wolf Dogs. For help in re-homing these breeds click here (see Additional Resources for Re-Homing Your Pet). IS YOUR PET SPAYED OR NEUTERED (INCLUDING PUPPIES AND KITTENS)? In an effort to reduce the pet overpopulation problem, PetSmart Charities Corporate Office has mandated that all adoptable pets at PetSmart stores and special adoption events must be spayed or neutered including puppies and kittens. Save-A-Life’s veterinary partners strongly recommend that owned pets be altered between 4 to 6 months of age depending upon weight and size. Save-A-Life, cannot in good conscience, recommend the routine spaying and neutering of owned pets less than 4 months of age. Pet owners wishing to re-home unaltered puppies and kittens under the age of 4 months should contact a Save-A-Life Volunteer. Call 912 598-7729 and leave a message with your name, contact information and a message saying you need to discuss re-homing pets under the age of 4 months. For pets older pets, Save-A-Life will provide free certificates entitling pet owners to discounted fees for the spay/neuter surgery at our veterinary partners in the greater Savannah area. When you use this free certificate, pet owners may submit proof of altering when the animal is adopted through our pet placement program and we will refund $45 for cats, $60 for male dogs and $70 for female dogs. HOW TO START: To register with the Pet Placement Program, make sure your pet meets the given requirements listed below. Then bring your altered pet to our Mobile Adoption location. We meet every Saturday (except major holidays) at PetSmart, 11132 Abercorn St., Savannah, GA from 12:30 PM- 2:30 PM. NOTE 1: Our mobile schedules for PetSmart are given on the home page of this web site. NOTE 2: Customers should not plan to arrive much before the starting times of each mobile adoption or they may be asked to come back when a Save-A-Life volunteer is present. All veterinary paperwork, when required, must be presented at the time of registration. If you forget the veterinary paperwork, you may not register nor remain in the adoption center until you bring the required documentation. All pets must be flea free, have good dispositions and appear to be in good health. We reserve the right to request veterinary clearance before registering any animal in the Pet Placement Program. If you try to give away or sell the pet while it is at the adoption center, you will be asked to leave. This is to ensure the adopters are willing/able to make a financial commitment to the pet. Every dog over 4 months of age must have had a rabies vaccination within the past 12 months. The rabies certificate must be presented at the time of registration. 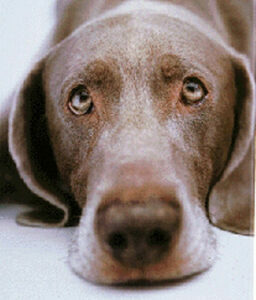 Every dog over 6 months of age must have a heartworm test within the past 6 months. You must bring proof of a negative test from a veterinarian. Dogs under 4 months of age are not required to have any shots but a distemper/parvo vaccine is highly recommended. All cats over 4 months of age must have had a rabies vaccination within the past 12 months. The rabies certificate must be presented at the time of registration. All cats must be feline leukemia and feline aids (FELK/FIV) tested and the results must be negative. You must bring proof of a negative test from a veterinarian. When there is a litter of kittens, the mother cat or one of the kittens must be tested for feline leukemia and feline aids. However, all of the kittens in the same litter do not have to be tested. Any sick kittens in the litter may not be brought to the adoption center and we strongly recommend that each sick kitten also be tested for feline leukemia and feline aids. DON’T FORGET, ALL VETERINARY PAPERWORK MUST BE PRESENTED AT THE TIME OF REGISTRATION BE SURE TO BRING THE PAPERWORK EVERY TIME YOU COME TO THE MOBILE ADOPTION! If the animal shows aggressive behavior, Save-A-Life or the store manager reserves the right to ask you to leave the store. You must stay with your pet while it is at the adoption center. Bring food, bowls, blankets, or toys to make the animal more comfortable. If you have an open crate for your pet, please bring it with you. You must take your pet home with you if it is not adopted. You may return every Saturday until the pet is adopted. You may register at and use either or both adoption locations as long as your pet meets the requirements for the location of choice. QUESTIONS? If you have any questions or if you have a special needs pet that does not meet the criteria contact a volunteer during mobile adoption, call 912 598-SPAY (2279) or email us at contact@savealifepets.org . Special needs pets, for example, include heartworm positive dogs, pets with treatable chronic illnesses, healthy FIV positive cats, etc. Solace Pit Bull Rescue – This Savannah area resource provides foster care and has a web-based complimentary listing of pit bulls and pit bull mixes in need of new homes. They can also provide consulation on socialization and behavioral issues. They will recommend upcoming events to attend when looking for a new home for a pet. Pit Bull Rescue Central (www.pbrc.net ) – This is a virtual shelter for homeless Pit Bulls, American Staffordshire Terriers, and mixes of these breeds. It has a nationwide web listing for animals needing new homes and gives guidance on the adoption process including what to look for in a new home. The Humane Society of Greater Savannah (www.humanesocietysav.org ) – This is a local Savannah resource for re-homing all breeds of dogs. The Rescue Shelter Network (www.rescueshelter.com ) – This web site is a comprehensive guide to rescue groups by breeds and by localities. Rescue Me! (www.rescueme.org ) – This is a national web-based site where owners can list animals for adoptin at no charge to the owner. Wild Spirit Wolf Sanctuary (www.wildspiritwolfsanctuary.org ) – This is a 501(c)3 non-profit group that lists adoptable wolf dogs on their web site and has links to other resources.